Designed to replace the Points & Condenser inside Lucas DKY4A and DKY4HA distributors. For a full list of compatibility for our K31 kit, scroll down. Remove the points and condenser base plate from the distributor. 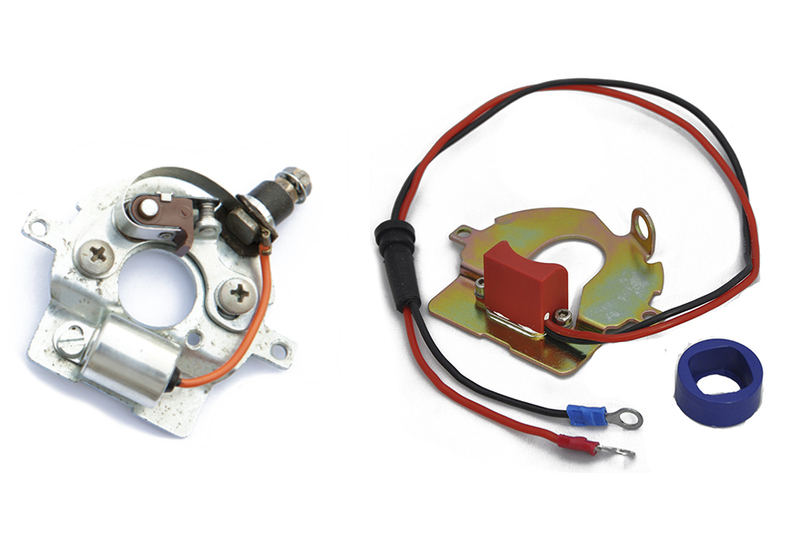 Replace with our electronic ignition base plate. Fix down the plate using your old screws. We supply four rings with this ignition kit because there were different versions of shaft from factory. 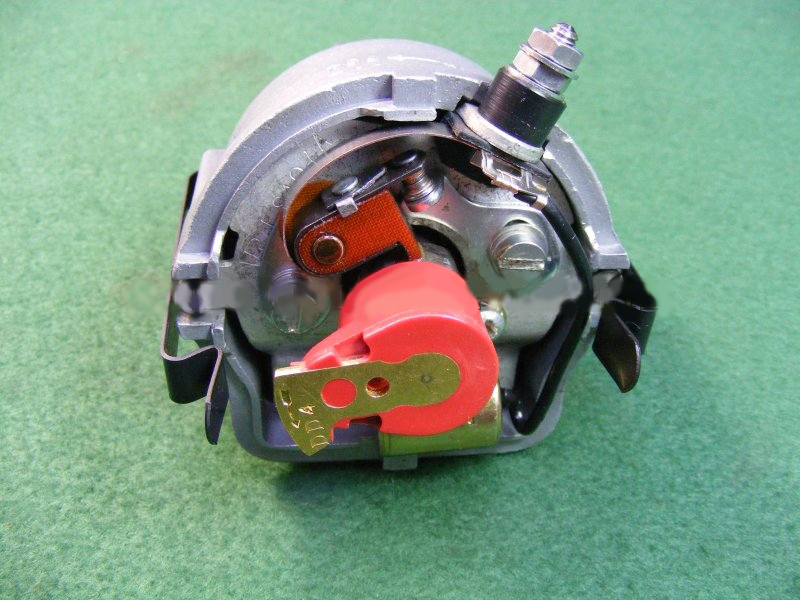 These rings are critical to have in order for this ignition kit to operate correctly across all versions of DKY distributor. This points replacement kit comes with 3 or 4 rings because of the variation is cams installed across they years, we are the only company on the market to have a full ignition kit with all of the possible trigger ring sizes for your convenience. Simply select the ring that drops on snugly and discard or return the leftovers. 1947-53 Austin 1947-48 16, 1948-50 A70, 1950-53 hire car, 1948-53 taxi, 1948-52 25 cwt van and ambulance Bristol Tractors Model 20 1949-53; Model 22 1954- 55.Lansing Bagnall 13 h.p. Industrial Tractor 1952- 55.Morris Engines 13 h.p. Industrial 1952-54. 1949-52 Morris Minor SV Brockhouse Engineering `President’ Tractor 1951-56.Mercury Truck and Tractor lOF Tractor (Morris 8 h.p. Engine) 1947.Morris Engines 8 h.p. Industrial 1951-54. 1939-48 Morris, Standard Morris 10 cwt, Standard 14 Conveyancer Trucks Models with Standard 87 mm. Engine 1951-52. 1951 Mercury Trucks Mercury Truck and Tractor `Airtug 40′ (Morris 16 h.p. Engine) 1951. 1951-52 Massey-Harris Massey-Harris 780 Combine (Morris MEB5 Engine) 1951-52.Morris Engines 25 h.p. MEE Industrial 1951- 52. Thank you for your message. Often with this distributor due to the variation in internal shaft cam profiles the ring that is correct from the 4 we supply to cover these variations can be a slight bit loose due to these variations and we recommend packing the shaft out with a silicon compound or even electrical tape, I hope this helps.